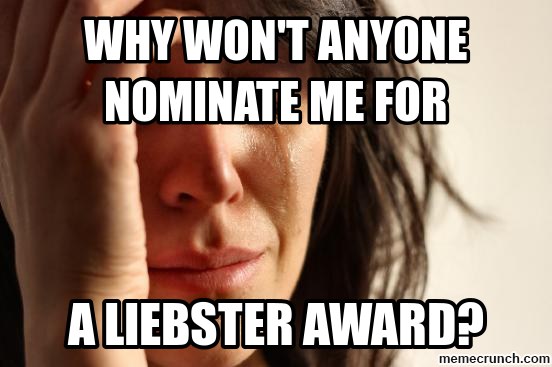 The Liebster Award is a way for bloggers to throw a little recognition around, especially to blogs with smaller followings; a way to shed a little light into the dustier corners of the blog-o-sphere, so to speak. I used to see posts where people got nominated and think “Why not me?”... and this weekend, Miranda of Cupcake Triathlete made my wish come true! 1. What's your favourite workout and why? This one’s pretty easy. Burbathlon; I get to work on my running, which was pretty much my gateway into endurance and fitness overall, have fun, be outside and know I’m getting some strength and agility benefits too. Shark Boy is very big on asking “Why?” for everything, and my favourite is when I can answer: “For Fun.” I have noticed that exercise helps me manage stress, and I certainly need a counter-balance for when I indulge diet-wise, but I got hooked on triathlon because it was fun. If I want to do triathlon races (which are the most fun, because it takes out the worst logistics of trying to fit in 3 sports in one shot), I have to train. 3. Looking back over your last year of training, what would you change and why? There’s so much I wish that could have been better, but if I don’t want to get depressed, I have to stick to what I can control... going forward, I want to supplement my nutrition for a better immune system. If I could get back some of those sick days, that would have been something. A big meal, to be honest, though Epsom Salt baths are the better option. 5. How do you get yourself going again after a training "funk"? My blog helps with that, since I need material to write about. A new frontier activity can be good (like mountain biking most recently). 6. Hobbies outside of the athletic? 7. Biggest challenge in training? Anything that takes me too far from the family and/or for too long a period of time doesn't work and doesn't happen. Long bike rides are the preeminent example. 8. Moment you are most proud of (could be athletic or not). I don’t know about a “Moment”. I’m very proud to be a father, so the birth of each of my sons is right up there, so is getting married. Finishing a marathon was big (back in 2006). I turned 40 Last Year, and between that and a Bad Monday that made me check my accomplishments and how I stand up to adversity and sum it all up. I guess that’s how I express my pride... more holistically, I guess. Plyometrics are good for runners/triathletes. Box jumps look like fun. Using a step (with 4-5 risers) seemed like a good way to do them at the gym. 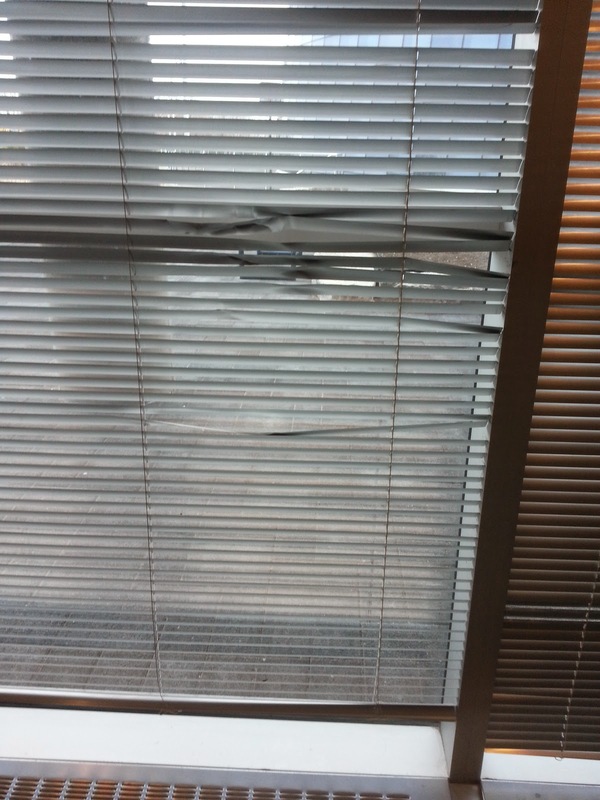 I set them up near a window, and after a few reps, toppled the step and splattered myself into the blinds of a window. They are still bent to this day. 10. What's your "Mt. Everest" goal? What's keeping you from going after it? Probably an Iron Man. See number 7 for the reason why I haven’t gone after it. I think the older (and hopefully somewhat more independent/better behaved) my kids get and with a more stable sleeping schedule it’ll happen. I’d make it my own 42nd Birthday Present, but I believe it taking things one step at a time, so a half-Iron distance would have to come first. I joked with Miranda that writing this post would be a lot of work, but nothing would be as tough as coming up with 10 nominees (who hadn’t already been nominated by her); I have a lot of favourites, but I don’t know how many are all that ‘small’ anymore. Luckily, I’ve been collecting a lot of new blogs lately, especially triathlon ones (though not limited to that), so the list filled out quicker than I thought it would. Dan T Head - I’m a sucker for triathletes with families and this guy writes (and writes about) sci-fi, comics and other nerditry that makes me wonder if we’re related. Lauren Lives Healthy - A fairly new (yet shockingly competent) blogger who’s on her first tri journey. ElleSeeFit - A Toronto area blogger I had the pleasure of meeting once. She makes Wellness a fun adventure. You Signed Up For What - Even if she wasn't a triathlon blogger (and mom), she would have had me at the Name of her Blog! The Business of Losing Weight - Hank has lost over 100 lbs and is rocking his local Clydesdale division in tri, in addition to being a contributor to the Huffington Post. He writes race recaps that will make you want to stand up and cheer. Cody Beals - I've only dipped my toe into the waters of his blog, but it looks like it’s more comprehensive and informative than most pro-triathlete blogs. How can you go wrong with a hashtag like #AskTriNerd? Barefoot Angie Bee - Runner, Yogi, Sci-Fi Nerd, Special Needs Mom. If you haven’t figured it out, the key to my blogger heart is multi-disciplinarian-ism (and nerdiness helps too). Family Sport Life - I’m not sure if this blog is small enough to be nominated, it looks so professional and sleek. Still, this family is made of pure awesomeness. Besides triathlon, there are some good life hacks for productivity and such. Wildly Fit - A tag team. Katie and Morgan tackle health and fitness from many angles, but what I like best is how they prioritize nature and the outdoors. Mom Swim Bike Run - She’s a mom, but she Swims, Bikes and Runs! I would watch that movie. There are two kinds of people in the world: _______ and ________. Fill in the blanks. If you could add an event onto a race (i.e. something besides swim, bike run for triathlon, something besides running for running) to make it More Multi-sport, what would that be? What’s your best quality/strong suit when it comes to getting the most out of your workouts? i.e. What's your super-power? What invention are you waiting for to make your life complete (or at least easier)? What's your number 1 workout/running song? If not music, what do you use to pump yourself up? Besides health and fitness, what has your sport brought to your life? If you could debunk one (fitness) myth to the whole world, what would that be? For your favourite blogs/bloggers, do you have a "type"? BONUS RANDOM QUESTION TO TELL US WHATEVER YOU WANT!